France on Tuesday attacked the “scandalous” behaviour of its biggest company, oil giant Total, after it said it would slash jobs despite reaping the highest annual profit in French corporate history. “That a group like Total, which made billions in profits, isn’t able to set an example in terms of employment at a time like this sticks in my throat,” said Employment Minister Laurent Wauquiez. “They’d be well advised to change their behaviour quickly,” warned Wauquiez, who said the move by Total was “scandalous” but did not elaborate on how the government might make the company change its mind. 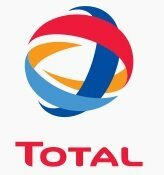 “Total says it makes 90 percent of its profits abroad, but it should not forget where it comes from and what it owes to France,” said one protestor. 1) It’s not at all clear whether Total owes France an obligation never to reduce its workforce, or even not to reduce it during bad economic times. I think obligations should be established before the fact, rather than shouted about during the crisis. 2) The process of criticism during events like this might well be regarded as part of the process of establishing just what a corporation’s (informal, socially-enforced) obligations are. One aside, the twisting of language to call jobs that will never come back layoffs.Traditionally laid off workers were rehired within a few weeks or a few months at the longest. We are now accepting “layoff” as a description for workers that will never be rehired.Is it ethical to use (for the media to allow the use of) inaccurate descriptors that were specifically chosen to build false hopes in the worker’s mind?In this case, I think Total is using the economic crisis to shed jobs that it felt it could not cut for fear of bad publicity in normal times. So, unless I’m badly mistaken, these workers were fired because the company didn’t need them not laid off because of a temporary down turn. Voice:Good point re “layoffs” vs “firing people.” It’s a mistake to conflate the two, and I’ve been complicit in that by merely parroting back the terms used in the news story. Chris.